Does a ring fit equally well in all your fingers? No. The ring is the same, the fingers belong to the same hand, then why is it so? It is because not all the fingers are the same. This example denotes all the students of the same class as the fingers and hands respectively with the ring being a teacher. For some students, he is apt and hence fits perfectly to their vocabulary , but for some, it becomes difficult to understand the same facts and figures. 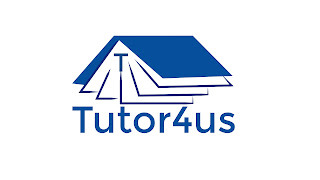 One to one tutoring is the phrase describing the direct relationship of a tutor with a student, solely, to his student’s brain, heart, mind, and understanding. Not all the students are the same. Had it been so, everyone would have either topped or flunked. Here are ten reasons why one to one tutoring is the best for today’s children. The best part of one to one tutoring is the comfort. A student is comfortable and relaxed to share anything and everything with his tutor. If there are doubts, it gets cleared immediately. There is nothing to feel ashamed of or feel strange about like they feel in the class. When the tutor teaches and gives attention to only one student, they are more focused on their strengths and weakness. Gradually they improve their weaknesses along with improvising their strengths tactfully. It is a fact that it is easier to understand a person if you can make out the background of that person. Same goes with the psychology of a student. If a tutor grabs a control over the psychology if a student, it becomes easier for him to uplift the student. Like, if a student belongs to a joint family, then give examples that he can relate to with his family to make him learn a chapter. There develops an understanding in between the student and the tutor. With time they start connecting to each other and gradually this understanding supports both the individuals to grow in their roles and extract the maximum from each other. The message of the student and teacher is direct and crisp. There is no beating the bush or story-telling. In school, children are not able to ask their query directly. The focus and attention of the tutor do not dissipate but remains concentrated to one student in case of one to one tutoring. As there is ample time in one to one tutoring, a child gets time to think and understand the facts and figures. A tutor will not move further with the lesson till the time the student is crystal clear about the facts. So, the doubts of the students, if any, get solved immediately. When a student is in the classroom, he is surrounded by many students. Asking a query might lead to his being opinionated, judged or laughed at. So, he remains cocooned in the classroom if he is not open enough to such circumstances. One to one tutoring solves this psychological problem of several children as they know there is no one except his tutor and him, himself. When the tutor is teaching a single time, he gets ample time to share extra knowledge and ideas. A classroom has its own restrictions. But in front of only one child, he can express facts and clear his doubts accordingly rather than stating a fact in a classroom and facing multitudinous suspects. Yes, that comes in hand with one to one tutor. It actually becomes obvious that whatever the problem is, a tutor can solve that. The tutor is considered next to parents and so he shall even do justice to the role and position he has attained with time in the minds of the parents. And at last but not the least comes the Bond. There develops natural love, respect and affection for a tutor in the minds of your child. They are free to share every doubt and problem with the tutor. A right tutor is a mentor and a guide and improves the studying capability of a student with the help of this respect and affection. This article has been published in association with Pedagogy Tutors. We are a group of more than hundreds of experienced tutors. We run on the belief that a child gets perfectly enhanced nd groomed with the help of One-to- One Tutoring.